Precept Services Pty Ltd is a company that values the environment and the wider society in which we work. Our company embraces a philosophy that balances the pursuit of profit, alongside a commitment to ethical conduct. This philosophy is the backbone of our goals and values, informing our daily decision-making. It is based on the following key concepts. The creation of a comprehensive environmental policy is key in ensuring our philosophy is actualised. This policy dictates that we must work in a way that causes a minimum of negative impact to the surrounding environment and community. Anyone engaging the services of Precept Services Pty Ltd can be assured that they are working with a company that aims to always work in an environmentally friendly manner. Our focus on environmental impacts covers both the large and the small. By starting with the small things, such as focussing on recycling in our offices, we are able to create awareness amongst our staff. Increased staff awareness allows us to tackle bigger impacts, such as vehicle fuel consumption. We engage in risk management analysis at all levels of our business, including: safety, environmental, legal, ethical and financial. We will not undertake any work unless we have mitigated the risks at all of these levels. 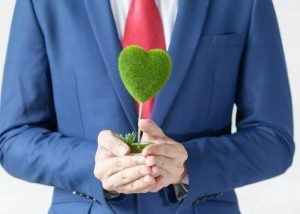 Any work which impacts on or company’s ability to operate sustainably, safely, ethically and within the realms of the law isn’t worth undertaking. Reinvestment in the industry is a key plank in our company’s belief system. We achieve this by employing apprentices and by giving these apprentices the opportunity to receive ongoing training in the specific areas that interest them. Our focus on giving apprentices quality training is our way of safeguarding the future of the industry and ensuring the passion of Precept Services Pty Ltd trickles down to the next generation. In addition to our investment in the industry, we also actively invest in the local and international community through donations and commitments to a number of worthy projects. 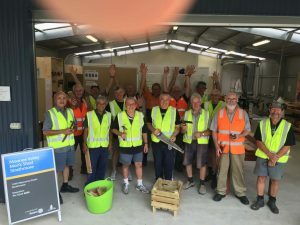 We have supported the Rotary Club of Essendon for over 10 years; we have also participated and donated to projects such as the Moonee Valley Strathmore Community Men’s Shed in Melbourne and the Cancer Council Relay For Life Fundraiser. A project close to our hearts is out joint sponsorship of the purchase of a vehicle for an orphanage in Myanmar. 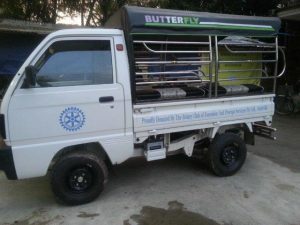 This vehicle has been used to transport children to and from school and to bring essential items, such as food and clothing, to the orphanage. It also allows the children the opportunity to travel back to their villages in the school holidays to keep in contact with the community in which they were born. We have also assisted in the operation of the Bahay Tuluyan in Manilla, a non-government organisation devoted to children’s rights and ensuring children can find pathways out of poverty. Our position as a major sponsor of the Moonee Valley Art Show has allowed us to help in supporting the St Bernadette’s Children’s Centre in Lima, Peru. This Centre provides a safe housing and learning environment for children at risk in one of the most impoverished areas in Lima. These are just a selection of the social and environmental projects we have dedicated ourselves to over the years. Precept Services Pty Ltd is always looking for ways to leave a positive impact, through research and development of new products that can benefit our clients by providing them with sustainable solutions for their energy needs. Our provision of renewable-energy technology means we can save our clients money and help to safeguard the environment for future generations. We are dedicated to giving back and we are a company that truly cares about leaving a positive mark on the community. Above all, we care about the ‘triple bottom line’ of People, Planet and Revenue. Our business model allows us to provide benefits to all stakeholders, whilst still maintaining our commitment to the environment, philanthropy and our ethics.